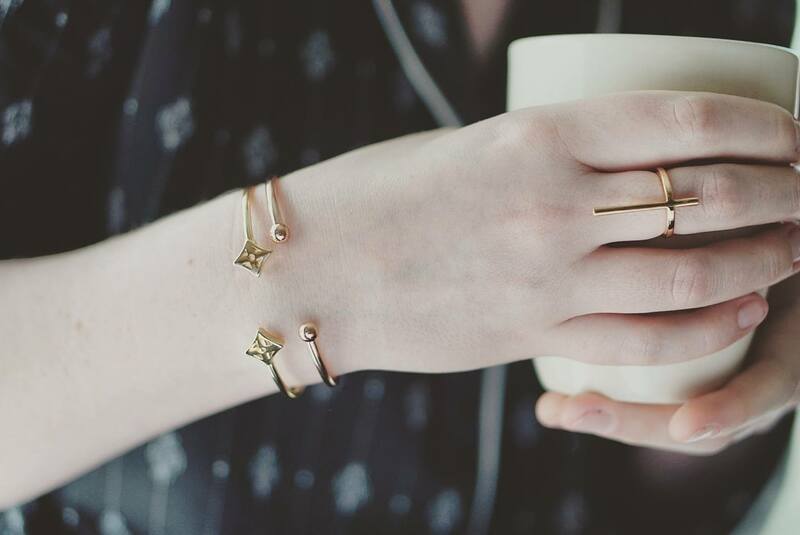 I've been so excited to share with you my latest jewellery collaboration. I've been working with the gorgeous girls from NK Rocks with Park Lane, to showcase some of my favourite pieces. 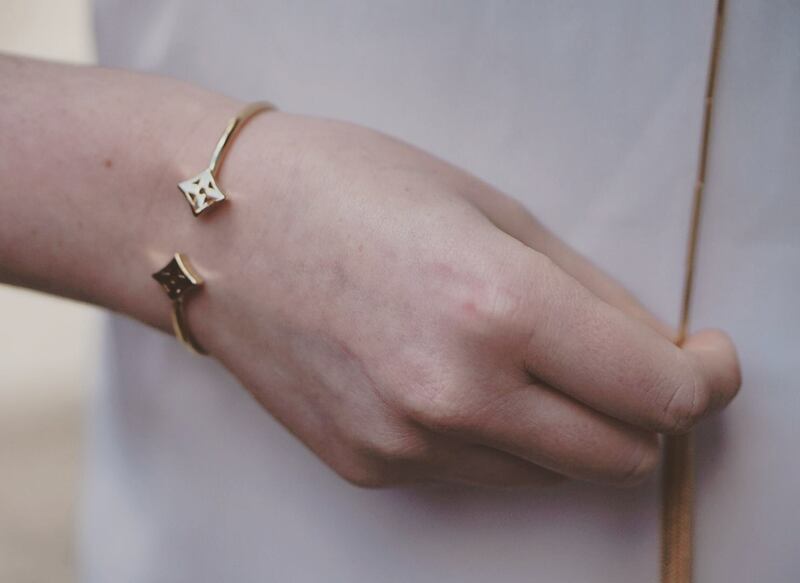 If you've not heard of Park Lane before, it's a company that was set up in America over 50 years ago, by a couple passionate about jewellery, who wanted to let other people experience the 'American Dream'. They set up a party plan style business, which enables people all over the world to start selling their very own Park Lane jewellery. This has empowered women, with support from an amazing company, letting them share the beautiful jewels, whilst making a living. I'm all about girl power, and when the lovely Katy and Nicola contacted me, I couldn't wait to work with such inspiring business women. Katy and Nicola have over 30 years of sales and marketing experience, making them the perfect pair to set up their own franchise within Park Lane; NK Rocks. Continuing on with the girl power, in their own words, they want to "give people the opportunity to run their own business. It’s so important to us that we can create independence for others. We wanted to create opportunities for people to fulfil their goals". 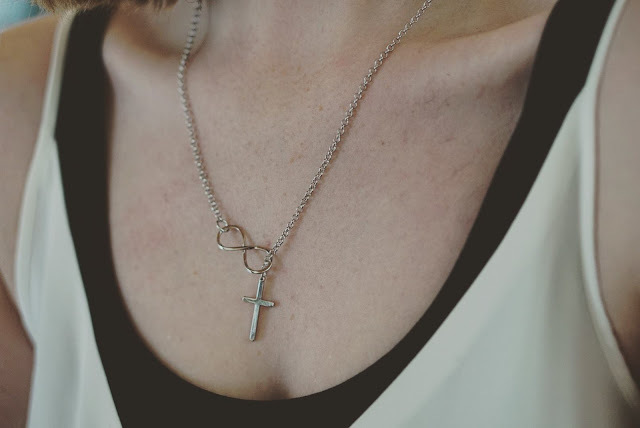 Apart from the amazing ethos at NK Rocks, they have the most beautiful jewellery! I was lucky enough to be able to choose my fave pieces, which believe me, took forever as there are so many! All of the jewellery is Rhodium or Gold plated, and you can tell the quality as soon as you see them. They come beautifully packaged in silk pouches making them an excellent gift. To ensure the customer knows that they are investing in quality jewellery, they offer an 120 day guarantee, which means if anything happens with your pieces, you can replace them for free. Along with quality guarantee, they also offer great value; if a customer spends £30 or more on 2 items of jewellery they can shop up to 4 items at half price, and the full price items can also be the cheapest! 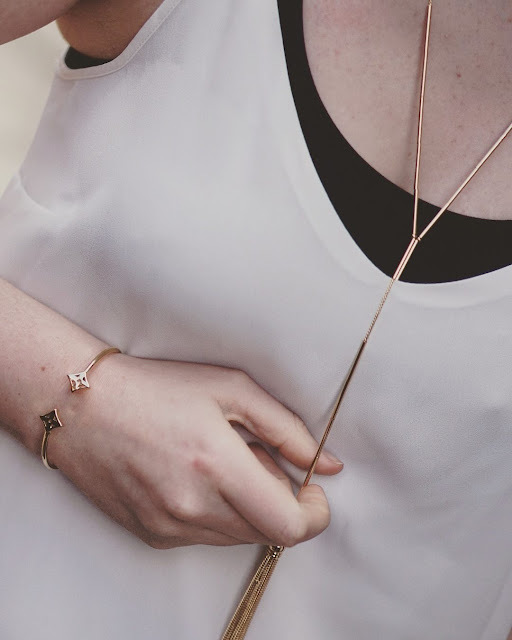 As you will know if you follow my blog, I like minimal delicate jewellery, which as you can see, I went for. But they have the most stunning costume pieces that really will change your wardrobe and you can see the whole collection here. 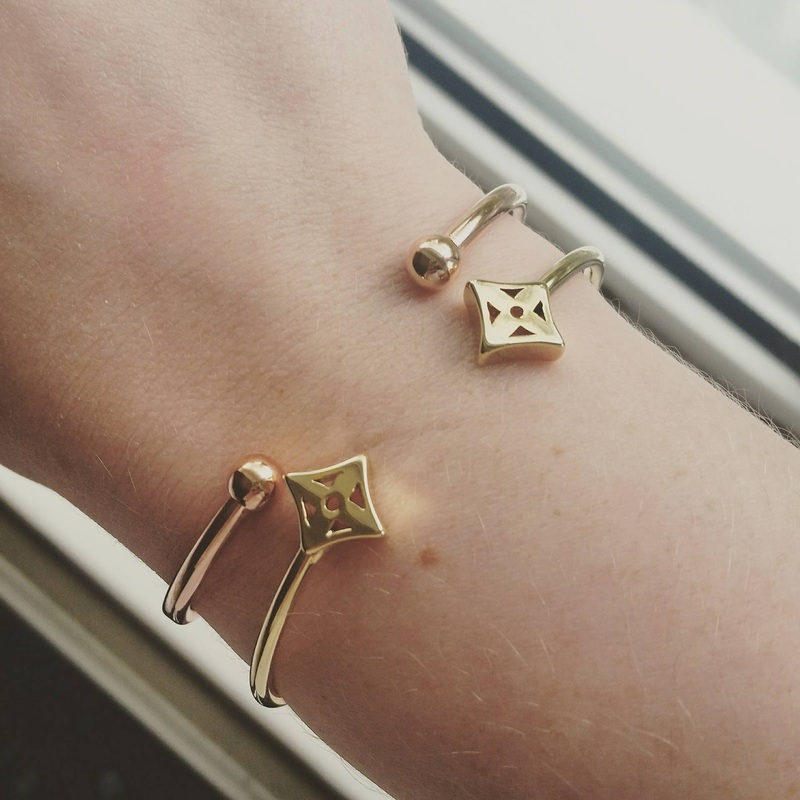 I decided to mix it up a bit, with rose and yellow gold bangles. They are both so delicate and literally go with anything. 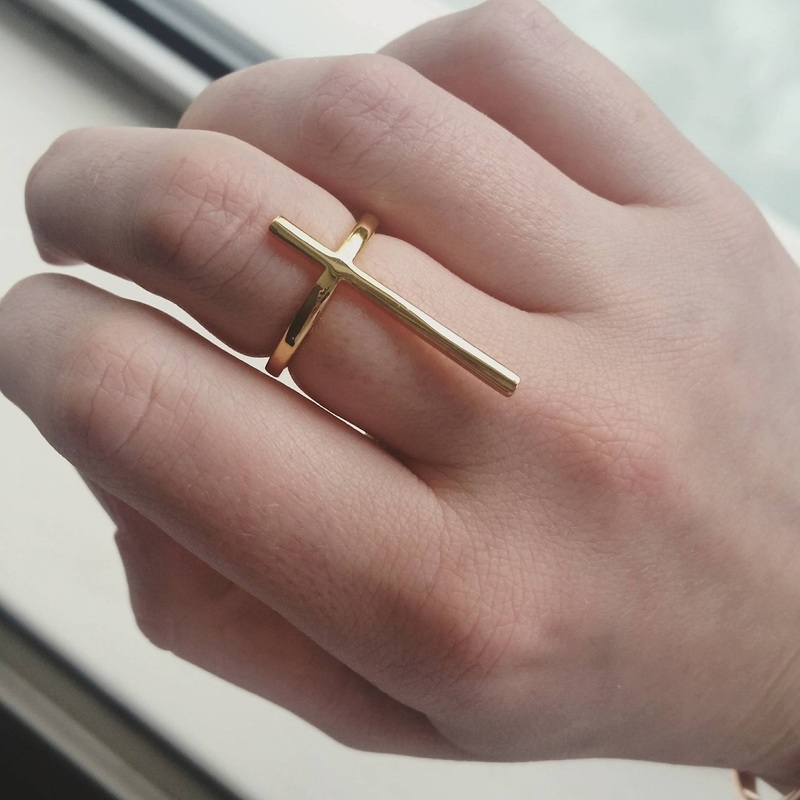 The stunning cross ring is also something I knew would easily fit into my wardrobe. I went a bit out of my comfort zone with the 'Vineyard' necklace, as it's quite a show piece, yet still understated, so I can wear it in the day over a simple white tee. All of the pieces I chose are mix and match, meaning I can wearing them alone, or put them together. They are all timeless, that won't date and I can keep them forever; something that NK Rocks with Park Lane pride themselves on being able to provide. I really enjoyed this little project. The jewellery is stunning, and I know I'll get so much wear from the pieces I chose. It's also a privilege to work with amazing girl bosses, and if you want any more info on how to work with NK Rocks with Park Lane, then you can contact them with the details on their website.